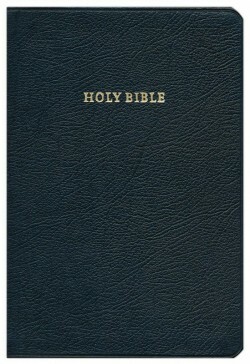 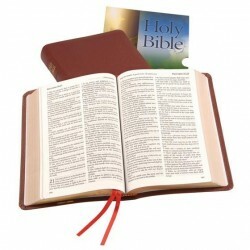 Extra large-print text Bible without references in durable flexible vinyl cover. 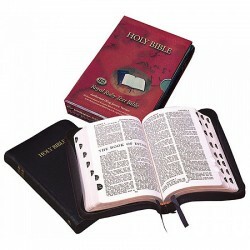 Presents the largest-print single volume Bible of reasonable size and weight. 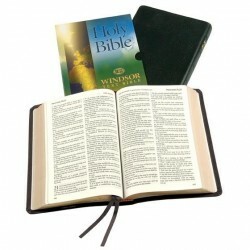 Print Size: 15.5 point Page Size: 10.7" x 8.5" Thickness: 1.2"